This undated photo provided by Bonhams shows a statuette featured in the 1941 movie "The Maltese Falcon" that sold for more than $4 million at a New York City auction. 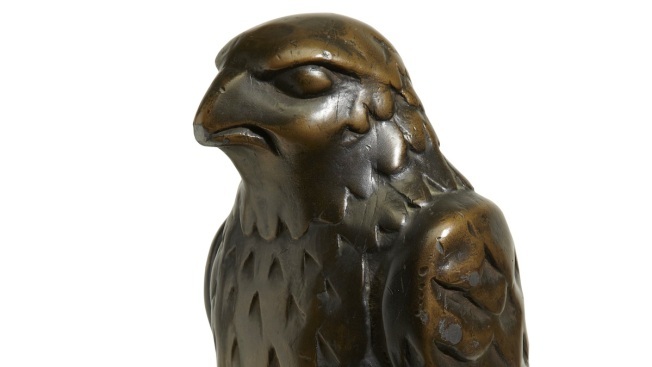 A statuette of a bird featured in the classic 1941 detective thriller "The Maltese Falcon" sold for more than $4 million at auction Monday. The final price on the 45-pound, 12-inch-tall prop was $4,085,000, according to Bonhams auction house. That includes Bonham's premium. The black figurine is one of two known cast lead statuettes made for John Huston's screen version of the film but the only one confirmed by Warner Bros. archives as having appeared in it, said Bonhams, which declined to provide a pre-sale estimate. The winning bid came over the phone. The figure has a bent right tail feather, damage incurred during filming, Bonhams said. Actress Lee Patrick, who played Spade's secretary, Effie, dropped it while handing it to Bogart. The statuette's unidentified owner bought it privately in the 1980s. 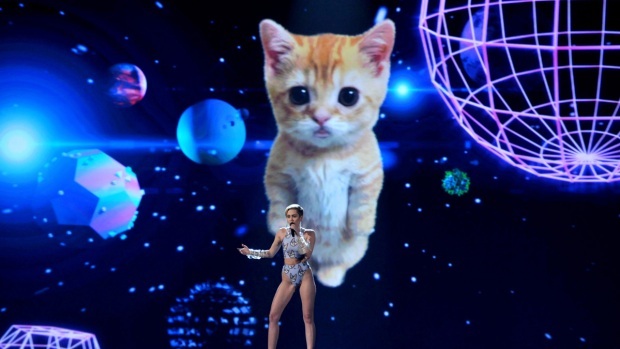 It has been exhibited at the Warner Bros. Studio Museum, the Pompidou Centre in Paris and the Museum of Modern Art in New York.